The Llangorse Triathlon and Swim took place for the first time in 2014. The events were only able to take place thanks to the generosity of the Blackham family, who own the lake, the local people, Llangorse Sailing Club and the Llangorse Lake Users Group. In 2016 we decided to concentrate on the Big Swim and were proud to be able to welcome more than 200 swimmers to Llangorse. In 2017 and 2018 we had more than 230 swimmers taking part including juniors, beginners and competitors in their 70s and 80s. The Big Swim team is led by local swimmers Nicola Goodwin, Jules Hardman and Ian Rivers who swam the length of the River Wye together in September 2016. We are very fortunate to have a committed team of volunteers made of up our friends from Hereford Triathlon Club, Llangorse Sailing Club, Llangorse Canoe Club, Brecon Cricket Club, Brecon Athletics Club, Llangorse Judo Club, Hereford Kayak Club and numerous friends and volunteers with a wealth of miltary, sporting and emergency services experience. Our first aid cover on and off the water is provided by West Mercia Search and Rescue. Between them the organisers have decades of swimming and triathlon experience and have represented the Great Britain Age Group teams at numerous European and World Long Distance events. They have BTF, ASA and IoS qualifications and have extensive experience of organising triathlons, duathlons and other sports competitions and training events. The weekend events are only possible thanks to the support of the Llangorse Lake Community, the people who live, work and play in this great location. Wherever possible we are using local companies and hope that you will support them by staying, eating and buying locally. 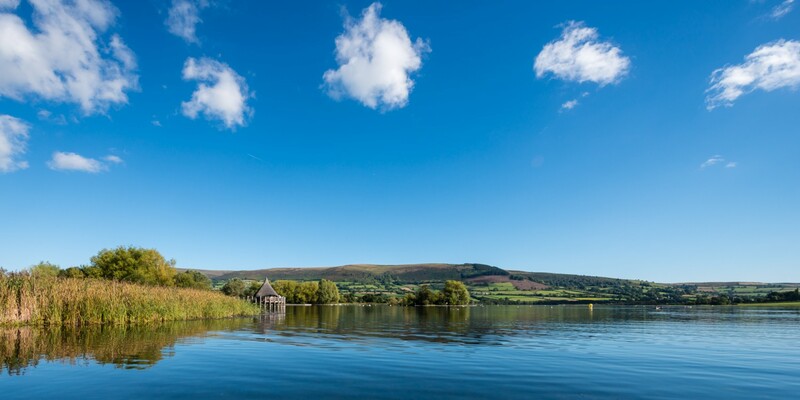 If you have any questions regarding the event please don’t hesitate to contact us at llangorsetri@hotmail.co.uk and we look forward to seeing you at Llangorse Lake in September 2019. Hi Howard. We’re full up but we’re operating a waiting list and everybody on it should get a swim. When people drop out we’ll let the next person on the list know. You need to sign up at http://www.entrycentral.com to get on to the list. Hope to see you on Saturday. Has a decision been made on whether the swim is going to be wetsuit only today? Hi Karen. It’s wetsuit or skins, totally your choice. The water is between 15 and 17 degrees.